MOSCOW (AP) — Ukraine’s prime minister on Wednesday accused local officials of causing a crisis that has left hundreds of thousands without heating in freezing weather. Several towns, and neighborhoods in two big cities, were left without heating after national gas company Naftagaz raised prices that some struggling municipalities said they couldn’t afford to pay. Naftagaz refuses to resume supplies to local utility companies and power stations until they clear their debts or pay for supplies in advance. Ukrainian Prime Minister Volodymyr Groisman on Wednesday laid the blame on local officials for failing to resolve the disputes, and said the parliament should consider firing them. Groisman said he has intervened and spent the past 24 hours, trying to bring about a settlement between local officials and the gas supplier. Volodymyr Mykolayenko, mayor of Kherson, where more than 100,000 people are believed to be without heating, told the 112 television station later Wednesday that thanks to Groisman’s efforts the local power station has just started receiving gas and that the heating will come on in the coming hours. Ukraine is struggling with a flagging economy and a separatist conflict in the east, which is weighing down on the nation’s finances. 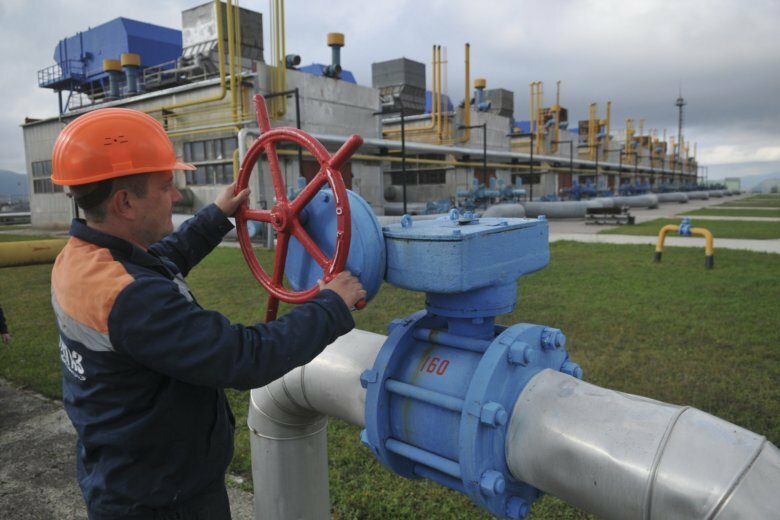 One of the conditions for the International Monetary Fund to continue providing Ukraine with loans was that it should increase gas prices by 23 percent starting Nov. 1. Bills for hot water and heating are expected to increase by another 15 percent on Dec. 1. Angry Ukrainians have been rallying on the streets and blocking roads to protest the authorities’ inaction. In the town of Smila, in central Ukraine, the mayor announced on Wednesday that they had to close the local hospital and take the patients out of town as the temperatures plunged and no heating was provided. Emergency officials set up tents, offering warm shelter to local residents.